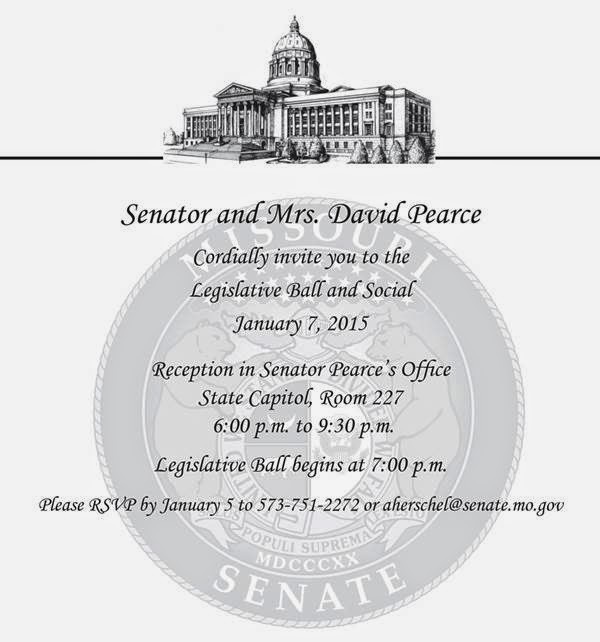 From: Senator and Mrs. David Pearce: You are cordially invited to attend a reception in Senator Pearce's Capitol office, Room 227, and the Legislative Ball in the Capitol Rotunda. Please RSVP to the phone number or email address below by Jan. 5th. or aherschel@senate.mo.gov by Jan. 5th. Rep. Glen Kolkmeyer requests the honor of your presence at his swearing-in ceremony, a reception and the inaugural ball on January 7th at the Capitol in Jefferson City. 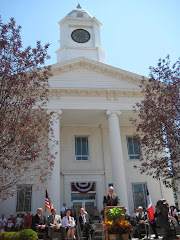 Rep. Glen Kolkmeyer (53rd Legislative District) invites you to the Swearing-In Ceremony of the 98th General Assembly, House Chamber, Missouri State Capitol, at 12 noon on January 7th, followed by a reception in his office and the Grand March and Legislative Ball in the Capitol Rotunda. You are also invited to a reception from 6 to 8 p.m.
in Rep. Kolkmeyer's Capitol Office, Room 400 CA. Additionally, Speaker Pro Tem Denny Hoskins requests the honor of your presence for the 2015 Inaugural Ball at the Missouri State Capitol. Grand March is 6:30 pm. in the Capitol Rotunda followed by a reception with appetizers and hors d'oeuvres at 7 p.m. in Room 301 in the Capitol building. The Inaugural Ball begins at 8 p.m. in the Capitol Rotunda.